Perhaps the most popular sub-genre in the resurgence of new pulp fiction is that of the weird western. It seems everywhere one turns these days; another publisher is coming out with another anthology which combines the cowboy classic setting with all manner of bizarre and horrible trappings. None is more effective and original than Edward M. Erdelac’s Merkabh Rider series. In his first book, “Tales of a High Plains Drifter” we were introduced to the Rider, last of an order of Jewish mystics searching a demon infested west on the trail of his teacher, who betrayed and massacred the order known as the Sons of Essenes. In this second volume, the Rider’s travails continue through four new adventures. In “The Infernal Napoleon”, the Rider finds himself in an out of the way watering hole used by freight haulers. Here, in this desolate way station he’s set upon by a vengeance seeking demonic dwarf who controls a satanic canon and is willing to destroy dozens of innocent lives to achieve his ends. But in all things, there is a balance and the aid of a young Samson-like strongman may tilt the odds in the Rider’s favor. The action is fast and brutal and sets the tone for the entire book. Next is “The Damned Dingus.” During a train robbery by a group of dim witted varmints, the Rider’s unique Volcanic pistol is stolen. 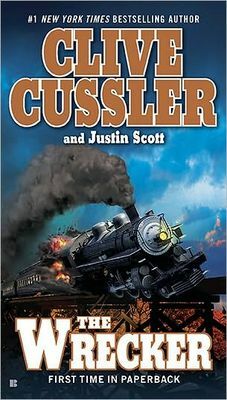 With the aid of the famous gunfighter, Doc Holiday, and an experienced deputy marshal, the Rider travels to an abandoned mine in the high country and encounters the savage menace of an invisible monster capable of ripping men and horses to pieces. What is it the creature is protecting and what is its connection to his old teacher’s twisted plans? Leaving Arizona, the Rider learns he has been labeled a wanted outlaw with a bounty on his head. Fleeing into New Mexico, he encounters a band of Apaches battling an age old horror that dwells beneath the earth. Here Erdelac takes a page from H. P. Lovecrafts’ canon in using the evil Old Ones from beyond the stars as the threat and only the Rider and his arcane skills can free the territory of the vile and corrupted She-Demon in the episode called appropriately, “The Outlaw Gods.” Before it is finished, the Rider will have led an army of Spanish ghosts in an epic battle across the astral plane. 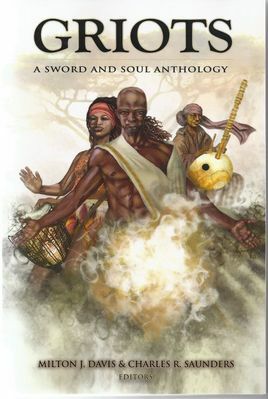 Finally, still assailed by Queen Lilith’s invisible sprites that are draining away his life essence, the Rider is found by Kabede; a Merkabah Rider from a secret Ethiopian sect of the Sons of Essenes. Kabede convinces the Rider that the answers to Adon’s diabolical plan, the meaning behind the so called Hour of Incursion, can only be answered by the Prince of Hell, Satan and they must travel to Hell in astral form. Erdelac’s depiction of the various levels of Gehena are as evocative as Milton’s own “Paradise Lost” and deftly combine Judeo/Christian tradition with other prehistoric myths. In the end, he weaves a complicated but amazing tapestry of mankind’s ongoing quest to explain the meaning of creation and the eternal conflict between faith and hopelessness. By the end of this final chapter, the Rider and his new companion have set into motion actions which will either lead to their defeat at the hands of Adon and his minions, or a miraculous victory against the forces of alien damnation. Calling this finale a cliffhanger is a major understatement. 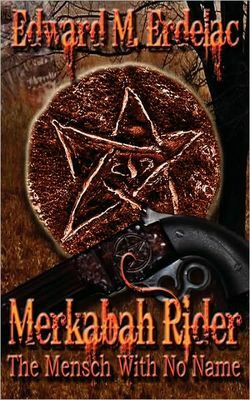 “MERKABAH RIDER – The Mensch With No Name” is a terrific continuation of an exciting saga this reviewer imagines will culminate in a third and final volume. This is easily some of the finest western/horror/action writing on the market today and comes highly recommended. The Merkabah Rider is truly a pulp hero like no other. Ever since starting this column, I’ve reviewed many small independent books but all of them were in one fashion or another associated with either a publishing group or writers’ organization. They all had ISBN numbers, a website or link as to where their books could be purchased. Bill Craig’s offering here has neither, no ISBN, no website address and no page numbering. I can’t even tell you how many pages there are in this great little book. This book exemplifies self-publishing to the maximum understanding of that process. This book was written, assembled and printed by Bill Craig. Happily, I’m informed that all of Craig’s books are available at Amazon. Despite the book’s amateurish production values, Craig is really a very competent writer who excels at fast paced action. He is most assuredly a new pulp writer worthy of your attention and one of the most prolific working today. The Hardluck Hannigan series is only one of several he has invented and continues to pump out at a rather remarkable rate. Understand, Craig’s purple prose is masculine and he waste no time jumping into each book’s plot with little fanfare as to who these characters are or where they’ve been up to this point in their lives. The Golden Scorpion opens with Michael Hardluck Hannigan in Cairo having just completed an adventure in Africa. At the bequest of his Russian buddy, Gregor Shotsky, they go to meet an unscrupulous dealer in antiquities who has information on the whereabouts of an ancient mystical artifact known as the Golden Scorpion. The Golden Scorpion supposedly is a powerful arcane weapon of some kind said to be buried deep in the sands of the Sahara. Within minutes of meeting this fellow, Hannigan and Gregor are attacked by Tureg warriors, the merchant is killed and they escape with their lives and a new ally, a lovely American secret agent named Chas Ridings. As I said before, the action never lets up and all too quickly we learn Hannigan is being pursued by a secret cult of desert warriors, a Chinese master criminal and members of the Illuminati based in England. A great deal of Craig’s writing is reminiscent of Lester Dent’s classic Doc Savage stories in that Hannigan seems to be always accompanied by an eclectic group of aides made up of assassins, soldiers of fortune and brilliant scientists answering the siren song of adventure. Throughout their madcap race across the burning sands, battling both human and inhuman foes, Hannigan and company press on while Craig occasionally drops information concerning their previous exploits that led to their current predicament. It is both frustrating and intriguing at the same time. 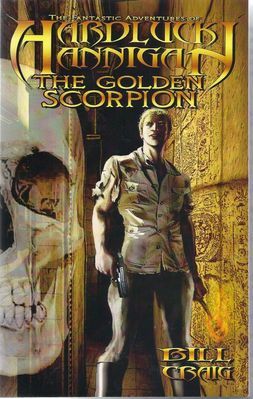 The Golden Scorpion is a quick read that left me wanting a whole lot more. If you haven’t heard of Bill Craig before, then you need to remedy that. He’s a damn awesome pulp writer who knows how to spin a yarn. 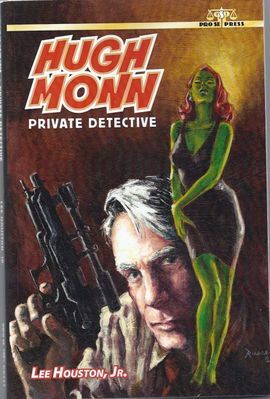 Several years ago, writer Wayne Reinagle burst upon the pulp fiction world with a self published tome that was the pulp equivalent of “Gone With the Wind.” PULP HEROES – MORE THAN MORTAL was a giant white elephant of a clunker that was not well written and appeared to be stitched together by a fan boy who was irrevocably addicted to the classic pulp heroes of the 1930s & 40s. Still, as badly exceuted as that book was, the poor mechanics could not disguise the genuine love and enthusiasm Reinagel possessed for these iconic heroes and how much fun he had playing with them. You see, the audacity of the man is he put practically every single major ( & minor ) pulp hero in that one giant volume. 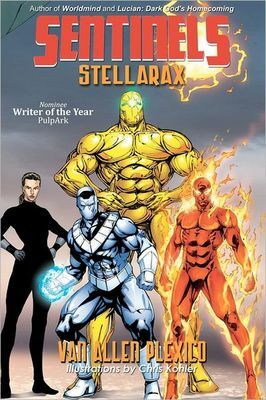 Here were Doc Savage, the Shadow, the Spider, the Avenger etc.etc., albeit all with new names to avoid legal repercussions from the rights holders, though readers knew exactly who each was. Despite its literary flaws, the book is also important in that it was the beginning of Reinagel’s super saga that would invariably use every major literary hero and villain from both the 19th and 20th Centuries spread across an historical roadmap of herculean breath and girth. Somewhere in all this Reinagel came to an unexplainable decision in regards to his pulp magnus opus; he’d inadvertently begun it in the middle. After the subsequent release of MORE THAN MORTALS, he was plagued with plot threads that could only be rationalized by going backwards in time, rather than forward. Thus the second book in the trilogy was actually the first chronologically: PULP HEROES – KHAN DYNASTY. It went back decades to give us the origins of the people who would ultimately sire the pulp heroes of the Great Depression. Asserting his genuine talent, Reinagel’s prose is much improved with this book though it still suffered the same affliction as its predecessor; massive dumps of historical data were dropped helter skelter through the narrative even in the middle of some balls-out action sequences. Again, Reinagel is not a man of moderations, he wants to give his readers ( & himself ) more and more. Some times to the detriment of his tale. Still KHAN DYNASTY was a major improvement and contained the portent of better things to come. 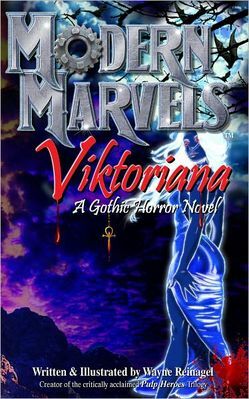 This reviewer is very happy to declare that literary promise has at long last been realized in Reinagel’s third book, MODERN MARVELS – VIKTORIANA. Clocking in at an impressive 440 pages, it adds proof that the guy simply cannot write a short piece but it also loudly proclaims his arrival as a sophisticated storyteller. This is the work of a craftsman who judiciously balances both action and characterizations and even though there are still many researched historical facts, they are kept concise and only used when propelling the action forward. That this is the writer’s fastest paced, most colorful and grandiose book is blatantly obvious from the first page to last. 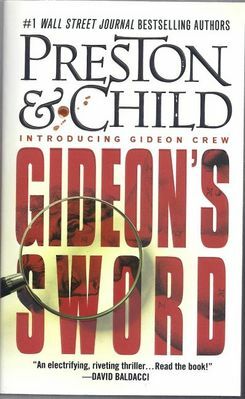 Once again, the author propels us backward to lay the foundation of heroic fiction in a brilliant twist that is pure nectar of the gods to any reader who grew up enjoying the fantastic literature of the 19th Century. The heroes of this volume are the writers who produced those amazing works all of us encountered along the road to maturity and adulthood; the English classics with a few mongrel relatives thrown in for good measure. The plot is simple enough. The planet’s are about to align in a unique positioning only witnessed every thousand years and two insidious fiends, Varney the Vampire and his stooge, a teenage Aleister Crowley, plan to use the stellar phenomenon to their own twisted ends. They wish to open a hole to another dimension; one filled with demons eager to crossover and destroy the earth. But to do so, Varney requires nine special magical tablets or else his insane plot will fail. Guarding those arcane items are the most famous and courageous souls of their times; H.R. Haggard, Arthur Conan Doyle, Jules Verne, H.G. Wells, Bram Stoker, Nikola Tesla, and an aged Edgar Allen Poe accompanied by a teenage magician named Harry Houdini. They are led by an enigmatic, seemingly immortal beauty, Mary Shelly. Now if that isn’t a Who’s Who list of the most influential writers in English Literature during the late 19th Century, then I’d be at a loss to compile another. The exuberant bravado of Reinagel is his fearlessness in employing this stellar cast and bringing them to wonderful life in his glorious adventure. Their interaction amongst themselves, the romance between Haggard and the ever dangerous lovely Miss Shelley, the good-old-boys camaraderie between Doyle and Stoker is simply endearing and believable. Wayne Reinagel clearly possesses one of the grandest imaginations ever unleashed on the printed page. His dreams and his fiction know no bounds when after adventure of the highest order and he delivers it beyond measure in this book. Every one of his books is an experience with so many surprises in store for the reader but none have so entertained and delighted this reviewer as MODERN MARVELS VIKTORIANA. Mark my words, pulp fans, your lives will be enriched for the better after reading this pure pulp odyssey by a truly one of a kind maser storyteller. Bravo, Wayne Reinagel, bravo! It appears you just can’t keep a good barbarian down. Conan the Barbarian is a hero and well known iconic figure in American fantasy. He was created by writer Robert E.Howard in 1932 via a series of fantasy stories sold to Weird Tales Magazine. Howard was born and raised in Texas and spent most of his life in the town of Cross Plains. As a boy he dreamed of becoming a writer of adventure fiction but was not successful until the age of twenty-three. Howard’s Conan is a character whose literary imprint has been compared to such fiction greats as Tarzan, Count Dracula, Sherlock Holmes and James Bond. 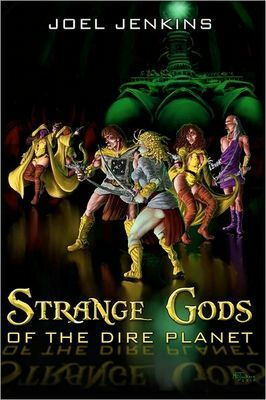 With Conan, Howard created the genre known as sword and sorcery, inspiring a legion of imitators and giving him an influence in the fantasy field rivaled only by J.R.R. Tolkein. On the eve of publishing his first novel, he committed suicide at the age of thirty. That he remains a highly read author, with his best works continuously reprinted speaks volumes for his place in the ranks of American masters. As for Conan, he has appeared in hundreds of licensed paperbacks, Marvel comics, films, television programs, video games, roleplaying games, and even a board game. In 1982 he came to big screen portrayed by bodybuilding champion turned actor, Arnold Schwarzenegger who recreated the role in the sequel several years later. Producer John Milius had planned a trilogy, but the proposed third film, Conan the Conqueror was never produced. Now, almost three decades later, the famous Cimmerian warrior from the mythological Hyborian age once again comes to the silver screen in a brand new production from Millenium Films, Lionsgate, and Paradox Entertainment. And to promote what they hope will be a huge summer blockbuster, their marketing department commissioned a novelization of the screenplay by Thomas Dean Donnelly, Joshua Oppenheimer and Sean Hood. The writer given the job was Michael Stackpole. 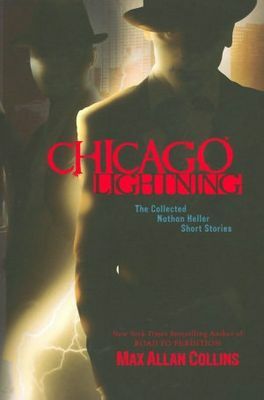 Many book lovers detest such novelizations believing them to be mere carbon copy retellings form the screenplays with nothing new to offer readers who plan on seeing the movie. In many cases, that is exactly all they get. On the other hand, when such a task is given to a true fan of the material, then what results is something much deeper and more complete than the screen treatment. Stackpole is a gifted professional who clearly knows Conan and his original exploits as chronicled by Howard. He not only tells the story laid out by the screenplay, but at the same time enriches it scene upon scene with authentic references to the Conan canon which totally elevates the narrative beyond being a mere reflection of the movie. Born on a battlefield, young Conan grows up amongst the mountain people of Cimmeria and is taught to be a warrior from the day he can hold and wield a sword. But as he matures, his father relates how his unique birth is regarded by seers as a powerful portent of the fate that awaits Conan. Not only will he be a great fighter amongst his people, but there are signs that he will one day be known throughout the civilized nations as mighty hero of unrivaled strength and daring. As always, we have to assume that there will be people picking up this book who have absolutely no idea of who Conan is or Robert E.Howard, but have seen the trailers for the movie and are curious about it. For them, this is as good an introduction to Conan as any other that has come along in the past thirty years. The book is fun and does its job well; it makes you want to go see the film. So please, save me the aisle seat.